We have a one price system. We try to sell our vehicles for the lowest price possible and still make a small profit. We put our best price forward. If the vehicle is still available in several months we will entertain selling it for cost. You are welcome to wait but you may miss a fair deal. Please don't ask us to lower our prices as we are selling at the lowest price possible. 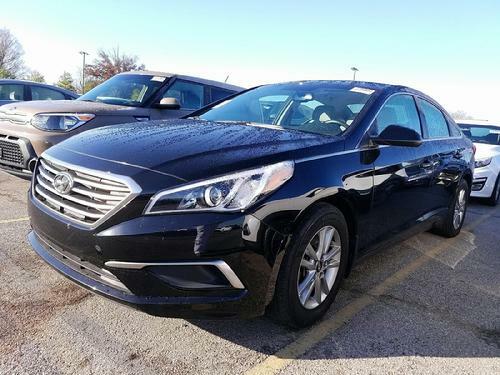 52017 Nissan Altima 2.5 S, 4 cylinder, automatic, air, 38 mpg highway best MPG highway of a midsize sedan, backup camera, electric start, tilt wheel, cruise control, power windows, power driver seat, power locks, AM/FM/CD/MP3 with Ipod jack, keyless entry on key fob, ABS, vehicle stability control, side air curtains, side airbag. 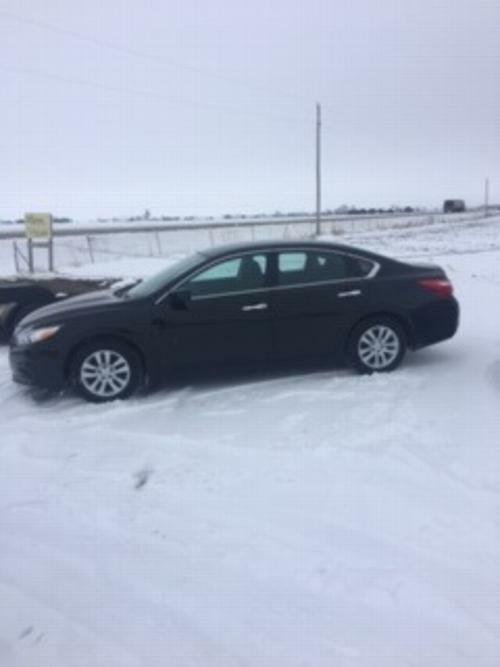 Black with gray cloth interior, 5,400 miles with remainder of bumper to bumper warranty from Nissan and remainder of power train warranty from Nissan. $14,900. VIN # 1N4AL3APXHC494814. CarFax shows no accidents. One owner personal vehicle from PA and VA.
Carfax states this is a one owner personal vehicle from IN. It was involved in a side swipe collision with another vehicle. This was minor damage, all the panels are original. Airbags did not deploy. Damage was to the front, left fender, left side. It has all the maintenance records documented on Carfax. 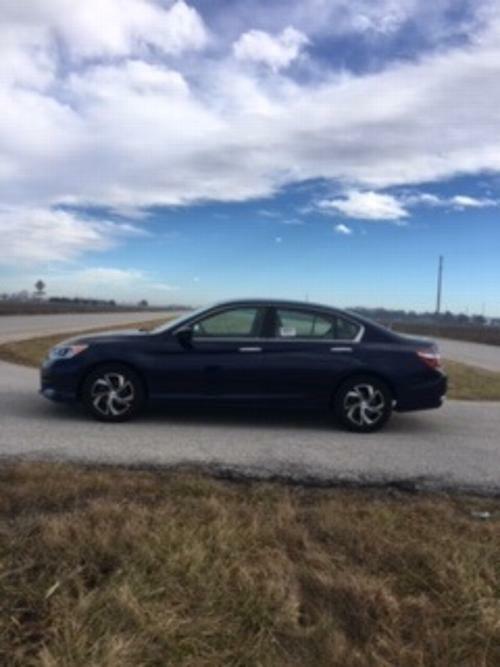 2017 Honda Accord LX, 4 cylinder, automatic, air, tilt wheel, cruise control, power windows, power locks, AM-FM-CD, backup camera, aluminum wheels, Dark Metallic Blue with Gray cloth interior, 11049 miles with remainder of 36k/3 year bumper to bumper warranty from Honda and power train warranty from Honda. $16,300. VIN # 1HGCR2F36HA209573. Minor damage to right rear. The right rear door was repaired. Car-Fax states this is a one owner personal vehicle from Indiana. The car was serviced regularly. The airbags did not deploy in the accident. 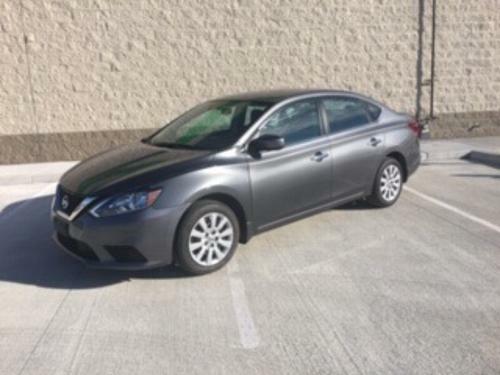 2017 Nissan Sentra S, 4 cylinder, automatic, air, backup camera, tilt wheel, cruise control, power windows, power driver seat, power locks, , AM/FM/CD/MP3 with Ipod jack, Sirius XM, keyless entry on key fob, ABS, vehicle stability control, side air curtains, side airbags, Gray with Gray cloth interior, 5,100 miles with remainder of bumper to bumper warranty from Nissan and remainder of power train warranty from Nissan. $11,900. VIN # 3N1AB7AP6HY351289. CarFax shows car if accident free. One owner personal vehicle from IL. 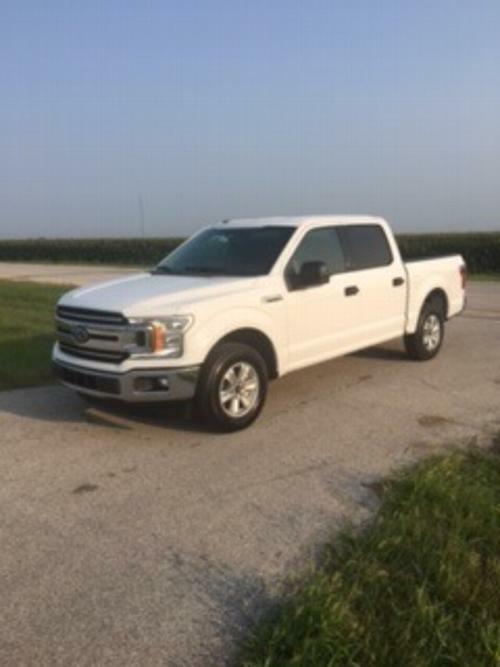 2018 Ford F150 XLT 2WD Super crew cab with 5.5 foot bed, 5.0L V8, 22 mpg highway, 6 passenger, automatic, tilt wheel, cruise control, power windows, power locks, key fob, bluetooth, backup camera, dual air bags, side air bags, aluminum wheels, White with Tan cloth interior, 12,380 miles with remainder of bumper to bumper warranty from Ford. $24,500. VIN # 1FTEW1C57JFD15099. Carfax state one owner rental from GA.
2012 Ford F150 XL 2 wheel drive, regular cab, 8 foot bed, 5.0L V8, automatic, power windows, cruise control, new tires, Gray with Gray vinyl interior, 70,140 miles. $7900. VIN # 1FTNF1CF8CKD59258. 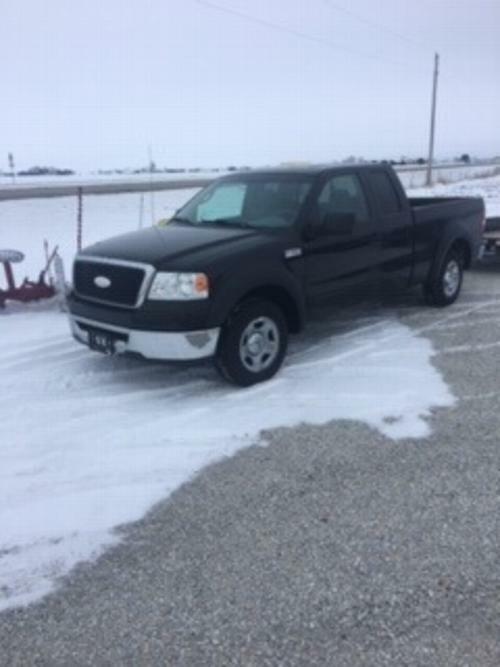 2008 Ford F150 4 door Extended cab 2 Wheel drive, 4.6L V8, automtic, air, power windows, power locks, tilt wheel, cruise control, 6-1/2' bed, 6 passenger, Black with Tan cloth interior, 81,000 miles, $9,500. VIN # 1FTRX12W08FB92426. Carfax states one owner personal vehicle from WI. 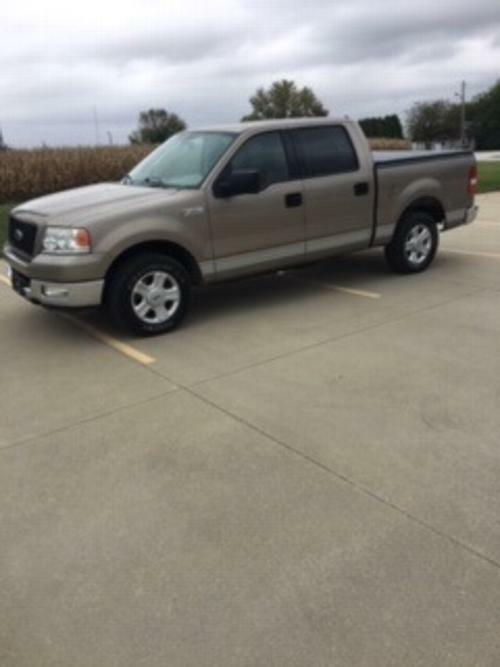 2004 FORD F150 XLT, 2WD, Crew Cab, 5.4 L, 6 passenger vehicle, automatic, air, power windows, power locks, cruise control, AM-FM-CD, 20 mpg highway, tow package, vinyl cover on bed lines, interior is very clean, well above average. Has recently been tuned and serviced. Tan with Tan interior, 86,200 miles, $8900. VIN # 1FTPW12514KD52039. Carfax says this is a two owner personal vehicle from OH. Numerous service records.